Dealing with panic attacks can be difficult at times. However, coping with your symptoms may be a little easier when you have a better understanding of your triggers. 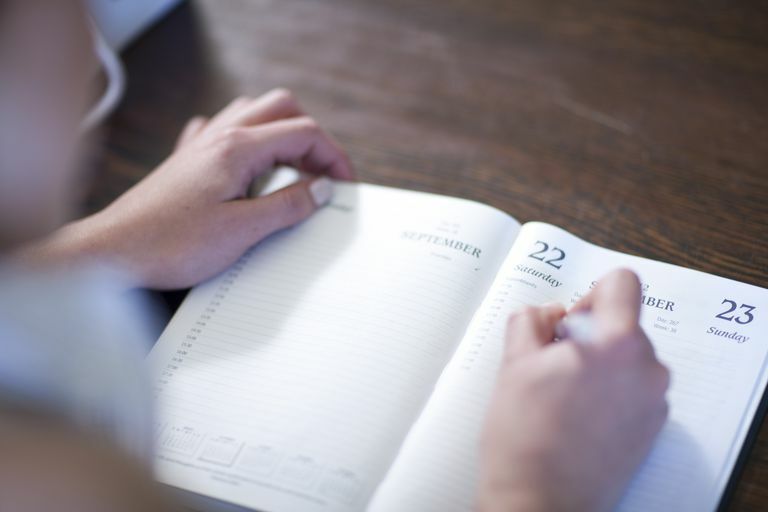 An anxiety and panic attack diary can be a simple, yet effective way to track your experience with panic disorder to more easily manage your symptoms. The purpose of a panic attack diary to track your triggers, symptoms, and progress to help you more effectively cope with your condition. All you need to get started is paper, a pen, and some quiet time to write down this information. Every time you have a panic attack, try to put some time aside later that day or week to record more information about your experience. Date each entry and write down how you felt physically, emotionally and mentally, what situation you were in, and how you coped with your symptoms. Panic attacks are often accompanied by many different physical symptoms that can often vary from person-to-person. Some of the most common symptoms of panic attacks include shortness of breath, excessive sweating, chest pain, shaking or trembling, and feelings of numbness or tingling sensations. Once your next panic attack subsides, use your panic attack diary to record all of the physical symptoms you experienced. Ask yourself how you felt physically. It may be helpful to make a column labeled “Physical” where you can list all of your symptoms. You may initially think that you only felt a few physical sensations, but as you start writing them down, you notice that more come to mind. Aside from physical symptoms, panic attacks are also often accompanied by many fearful thoughts and perceptions. People with panic disorder often report feeling afraid that they are going to lose control of themselves or perhaps even go insane. Intense physical sensations can also lead a person to fear that they are having a medical emergency or possibly dying. Feelings of depersonalization and derealization, in which the person feels detached from their physical selves and their surroundings, are also common perceptions that can occur during a panic attack. When tracking information about your last panic attack, it is important to reflect upon the thoughts and fears you experienced at the time. Where you afraid for your physical wellbeing? Did you feel disconnected from yourself or your surroundings? Also, record how you were feeling emotionally. Where you anger, sad, confused? Try to recall all of the thoughts, fears, and other emotions you felt and jot them down in your panic attack diary. The place or situation in which you experienced your panic attack can provide you a lot of information about your anxiety triggers. For example, through regularly tracking your panic attacks, you may notice that they often occur when you are in specific situations or events. Some typical panic triggers may include, driving or other means of transportation, large crowds, or confined areas. Also, make note of what is currently happening in your life. Did you just go through a major life transition? Are you going through a difficult time with a friend or family member or at work? Write down any life changes and events that have been taking place. This will help you notice how a potential pattern of increased panic attacks with the onset of additional stress and recent life changes. Determine how you coped with your panic attack. Perhaps you used a specific technique, such as deep breathing, visualization, or other strategies to calm yourself down during a panic attack. You may have taken a certain medication for panic disorder to relieve your panic and anxiety. Record all coping techniques, medications, and other exercises you utilized to help get through your panic attacks. Additionally, write down any relaxation techniques that you have been practicing throughout the week. For instance, you may be using stress management skills or other practices, such as meditation, progressive muscle relaxation, prayer, or physical exercise to help you feel less anxious. Keeping a panic attack diary will require some time and effort. Try to carve out some quiet time where you can focus on writing your experiences in your diary. Your panic attack diary can be a great resource on your process towards recovery. If you are getting professional help for panic disorder, it may be helpful to share this information with your mental health provider. This information can help you and your provider understand more about your triggers and treatment progress. If you feel that writing is not convenient or effective for your needs, try using some type of recorder instead. You can record all of your panic attack information and listen back to it later to better understand your what is triggering you and what is helping you. The purpose of your panic attack diary is to track and review your progress. Don’t just write down your information. Rather, spend some time looking over your past entries and determine what triggers your anxiety and what strategies helped you cope with your symptoms.